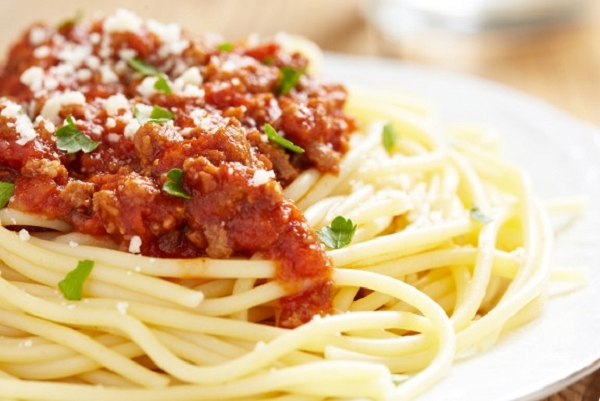 For some, Spaghetti Bolognese is the eighth wonder of the world. So much so that the chamber of commerce in Bologna - the home of bolognese - set out an official recipe in 1982. While the dish has become a staple for millions of people around the world, some Italians have complained that the recipe has become so corrupted with ingredients like Turkey mince, American meatballs, butter and cream. Our spaghetti bolognese stays true to the original. Pasta, ground Beef, onions, carrots, celery, red wine, tomatoes and spices. 1. Heat 5 quarts of water in a pot and bring to a boil. 2. Add salt and pasta 3. Boil for about 8 to 9 minutes or to desired tenderness. 3. Drain pasta and set aside. 4. 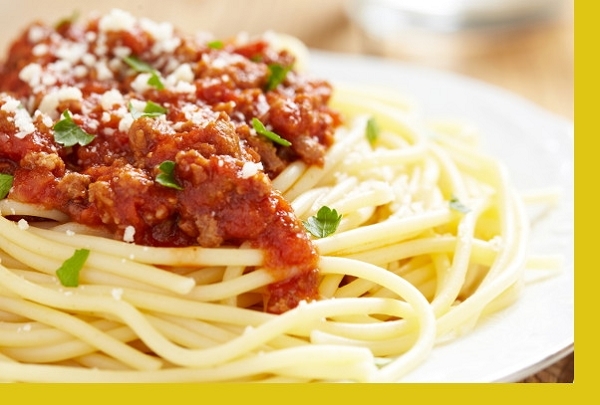 Reheat your bolognese sauce in the pot and serve together with the pasta. This entre was very delicious and so easy to prepare! It was also large enough to make my lunch for the next day! This one is a winner! The sauce has a nice full texture and is tasty enough to serve for company! Very tasty! The sauce was amazing. Lots of flavor. Can't wait to try the lasagne bolognese. Does someone have to be at home to accept delivery? Why do I have to order in advance? How many weeks a year do you deliver? When do you charge me? Serving: Houston, Texas (TX) and surrounding suburbs including Bellaire, Clear Lake, Cypress, Friendswood, Humble, Kemah, Kingwood, League City, Missouri City, Pearland, Seabrook, Spring, Stafford & Sugarland.